The starting point for my work is always walking and sketching. 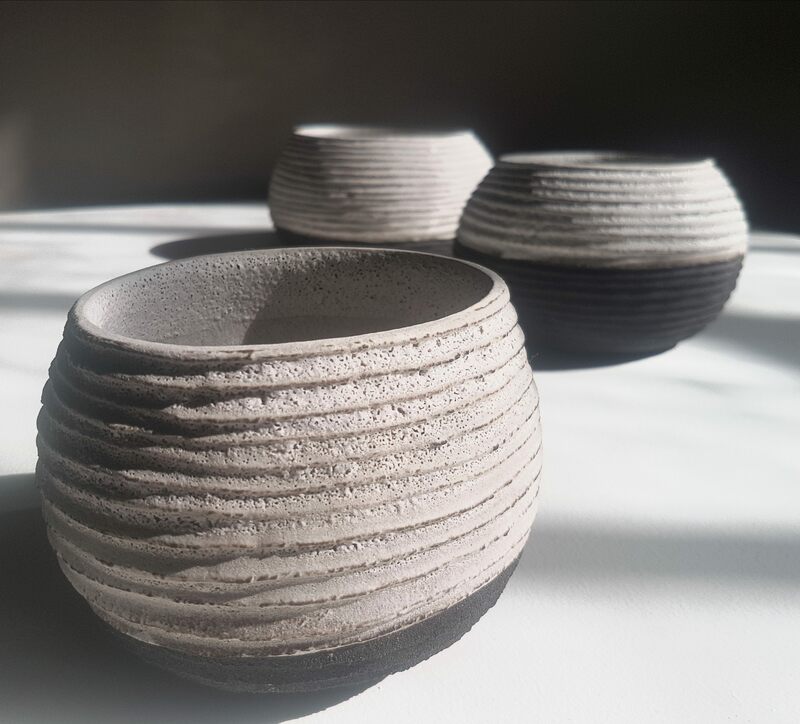 I'm inspired by the forms, patterns and textures in the world around me –the mesh of branches on wintry trees, the geometric patterns in eroded rock faces or the intricate structures of pods, leaves and petals. For me, the process of making is an absorbing and intuitive one, abstracting and developing ideas triggered by my sketches and interactions with the landscape. 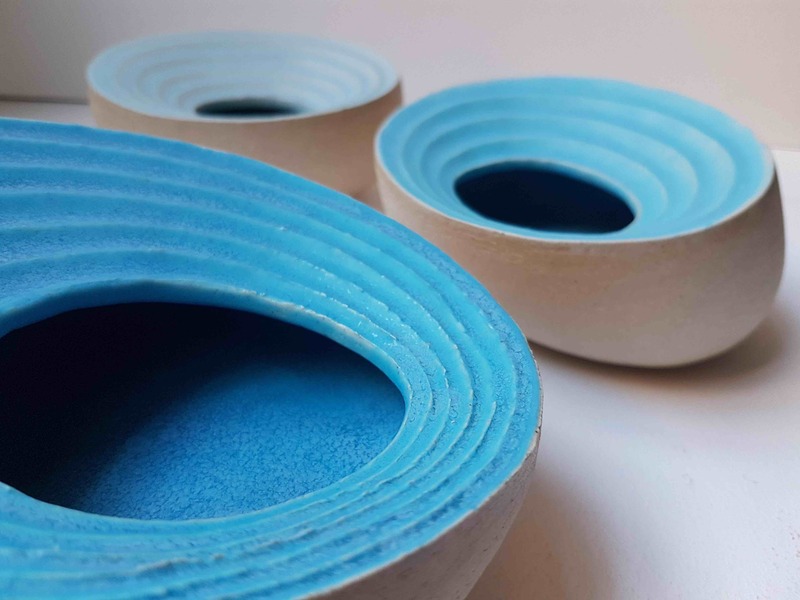 In the studio I work with a range of stoneware clays and enjoy the way the forms I build are affected by the differences in structure of these clays. All my pieces are hand built using a range of techniques; pinching, coiling and slab building. 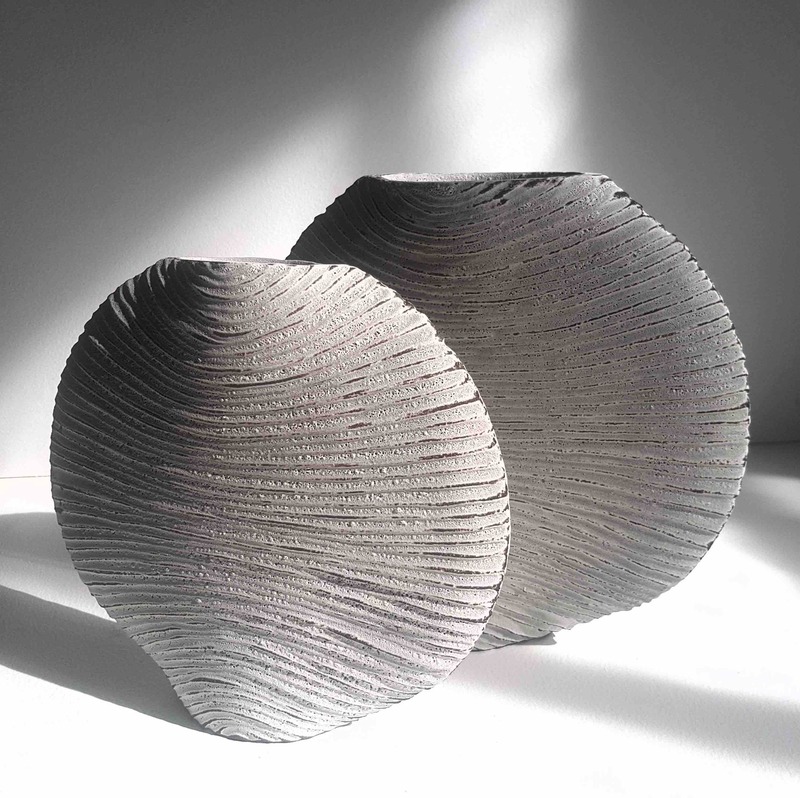 Once the initial form is created, it goes through a series of manipulations - smoothing, paddling, refining – until I'm happy with the shape. The piece is then allowed to dry slowly and during this phase the surface is altered by hand carving into the clay. The form the carving takes is determined by the shape of the vessel. As the piece gradually dries it can be refined by degrees. Once complete the form is allowed to fully dry over a period of several days. Sometimes oxides are brushed on before biscuit firing to 900C. After the initial firing, I then move on to glazing the work. 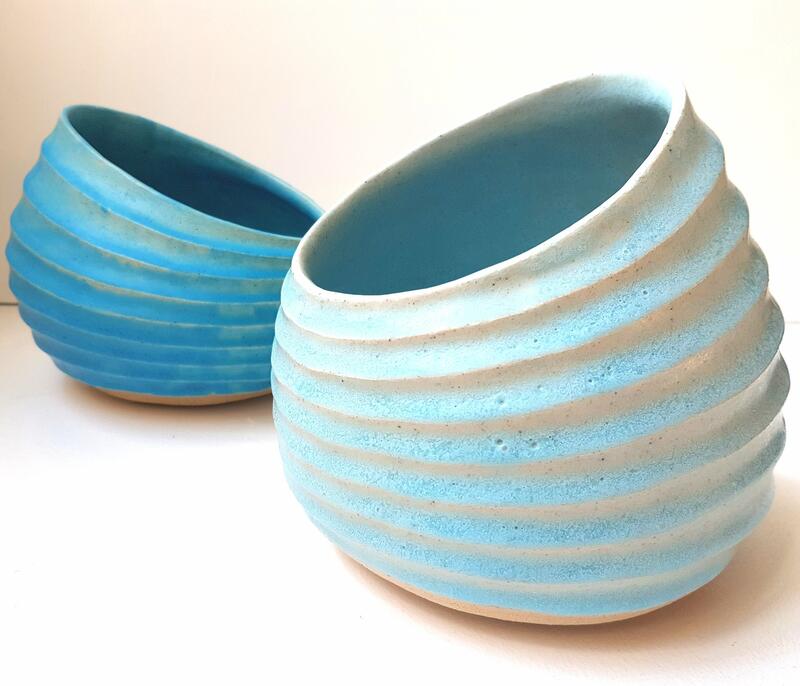 The glazes I use are all made up by me from dry ingredients which allows me to make subtle alterations to the opacity or gloss of the final glaze. The pieces are fired to around 1200C. 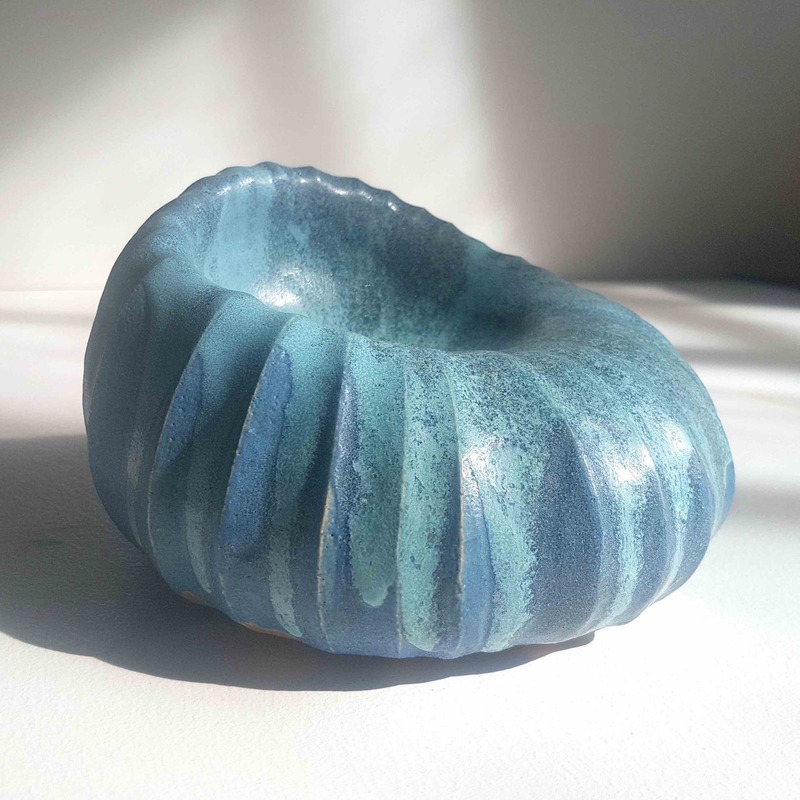 The glazes are chosen for their texture and visual interaction with the clay. 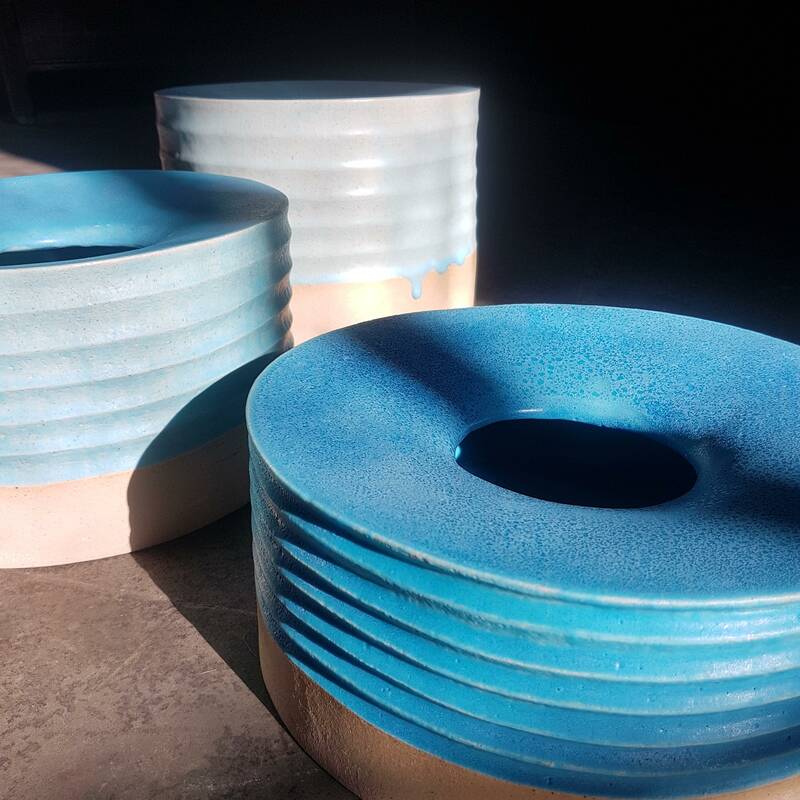 Some pieces are left unglazed but are burnished by hand and then smoke fired with organic materials in an outdoor fire pit to develop subtle variations in tone and colour.